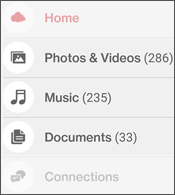 Navigate to a media file (e.g., picture, video, music, etc.) 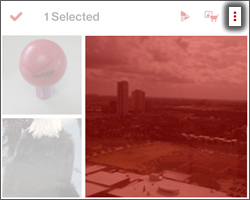 then tap the Contextual Menu icon (located in the upper-right). Tap the media file then tap the Contextual Menu icon (located in the upper-right). 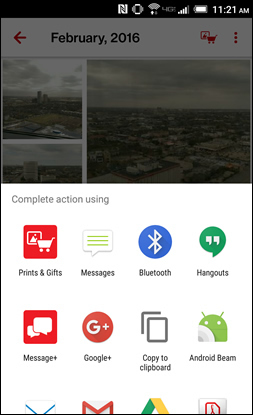 From the Complete action using screen, select the method to share your media (e.g., Messages, Bluetooth, Gmail, etc.). 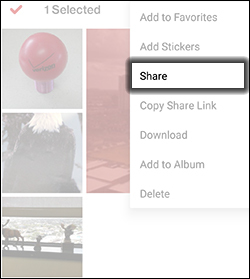 Complete the sharing action from the selected app. 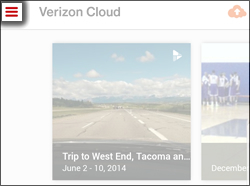 To stop sharing a file, the file must be deleted from the Verizon Cloud. 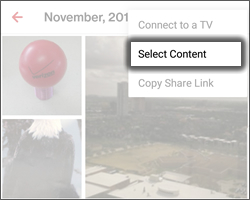 If the file is backed up to the Verizon Cloud later, a new Share link needs to be created. 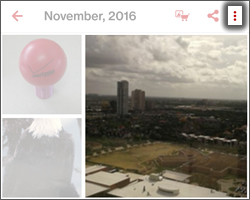 Verify the original file is stored some where before it's deleted from the Verizon Cloud.